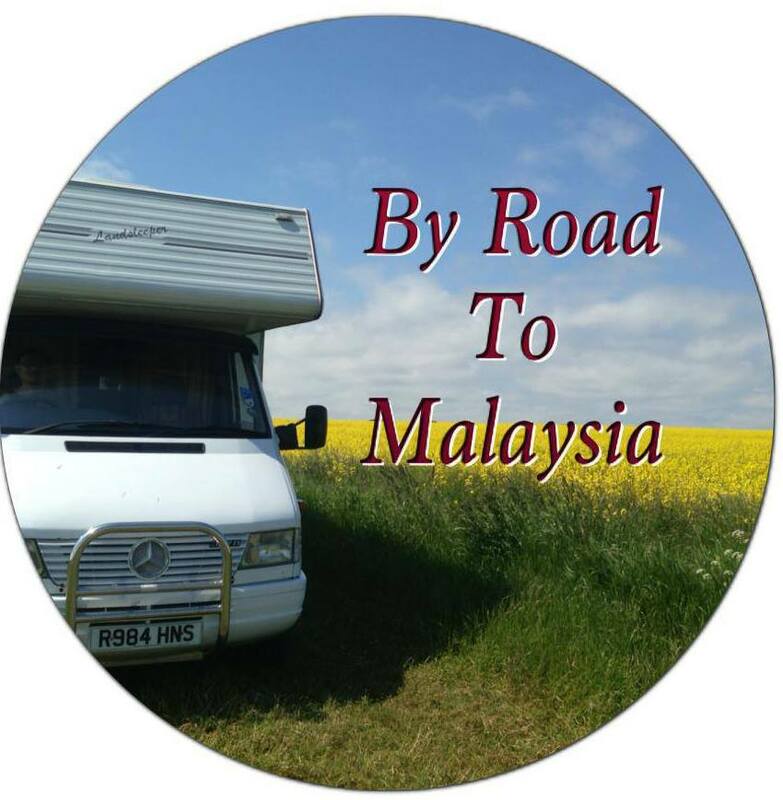 Homebound Overland – ByRoadtoMalaysia – footsteps……..
A few days before I write this post, I was alerted by my relative who is working at the Consulate in Kunming about this Malaysian family’s homebound adventure who left Coventry city where they had been living for seven years and heading to Kubang Pasu in Kedah, where they originate. Only then I remembered that I had written a post about their challenge to come home overland on my blog HERE. 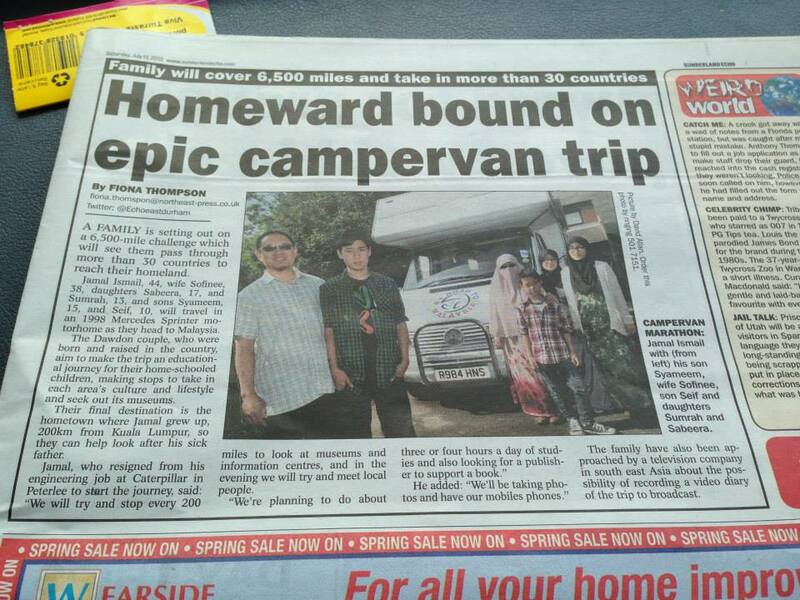 You can visit their Facebook Page to read about their journey written by Sofinee, wife of Jamal Ismail, 44 who drives their campervan. Together on the journey are their four kids. Click on their Facebook Page to read the diaries of their journey and see beautiful pictures throughout their journey. The family is expected to reach Bukit Kayu Hitam on 14th December 2013. 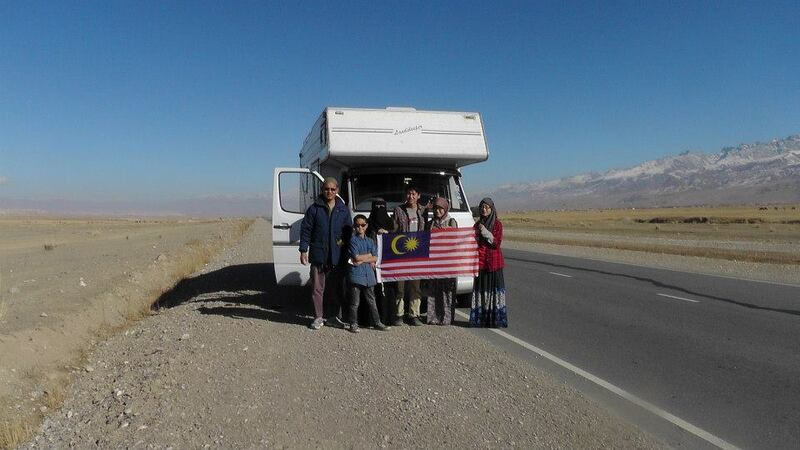 Well wishers can greet them at the border to congratulate the success of their feat to drive home overland on their 1998 Mercedes Sprinter motorhome, that has been their home since 13 July 2013. Note: All photos on this post was taken from their ByRoadtoMalaysia Facebook Page.